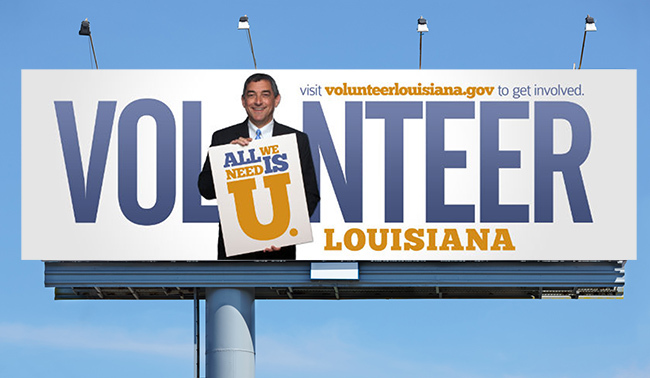 Volunteer Louisiana is a great organization that serves a valuable role in our community. 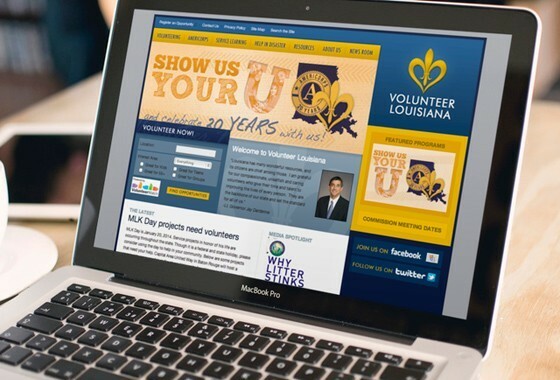 To be more effective in their mission, they embarked on developing a state-wide campaign to promote volunteering and connect Louisiana's citizens and out-of-state volunteers with volunteer service opportunities available in all communities throughout the state. 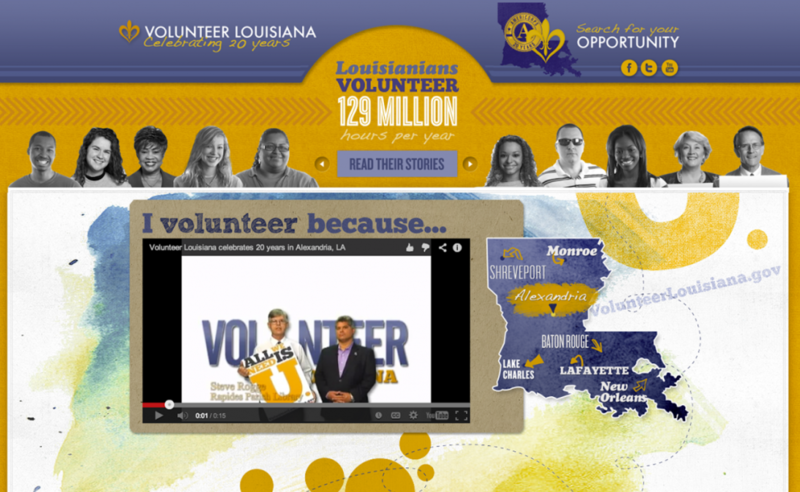 This campaign included conceptualizing impactful messaging, state-wide advertising, and a promotional micro-site to drive traffic to the Volunteer Louisiana website. 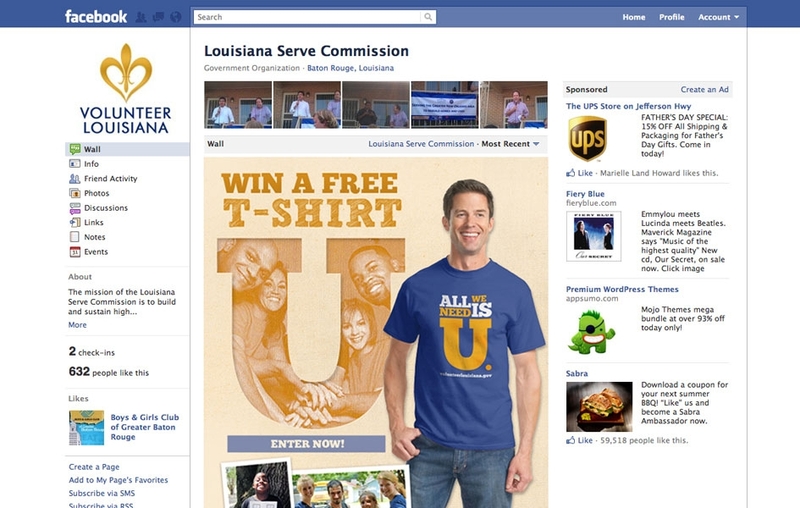 Volunteer Louisiana approached Envoc to conceptualize a marketing strategy for this brand-new campaign. 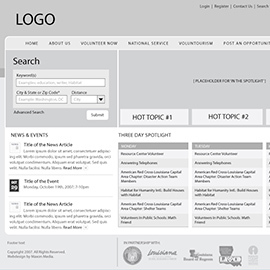 Envoc was tasked with creating the tagline, designing all promotional collateral, coordinating photo shoots and managing media buys. 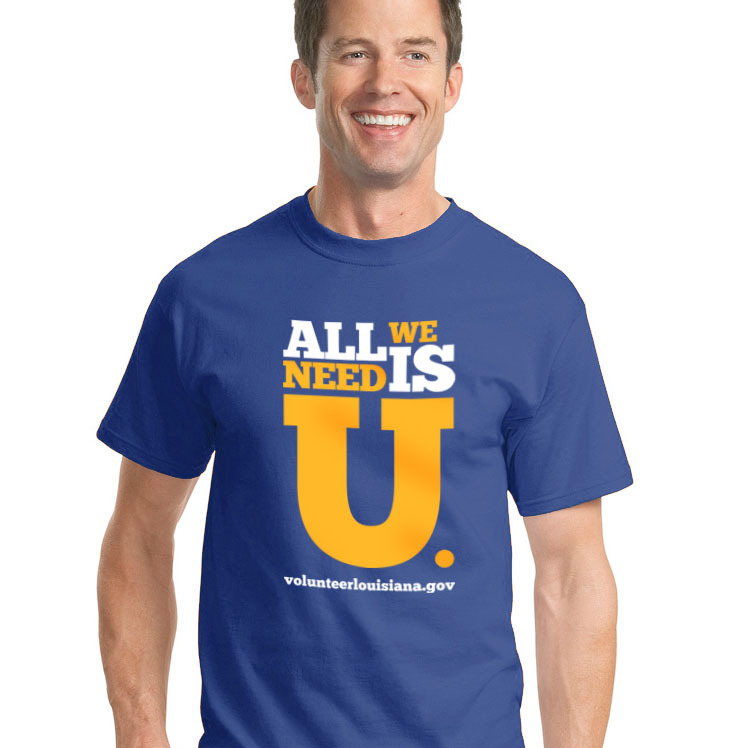 All of the promotional materials directed the audience to the visually engaging "All We Need Is U" micro-site that advocated volunteerism in the state of Louisiana. 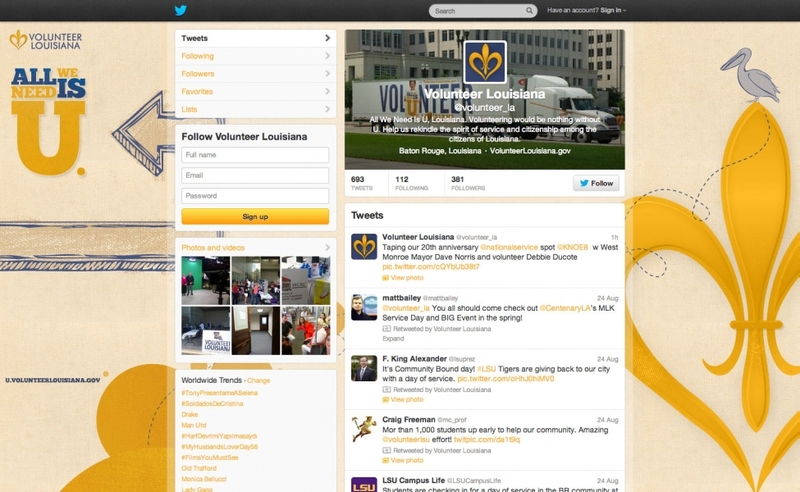 The campaign tied into Volunteer Louisiana's existing website and volunteer opportunity search capabilities. 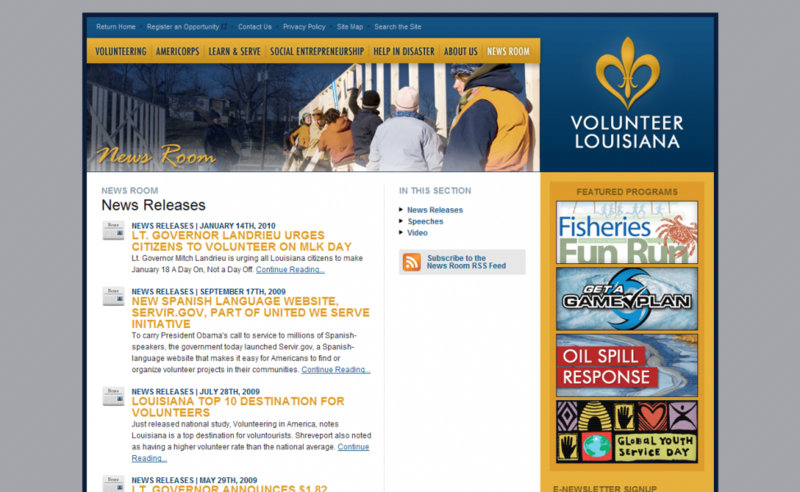 Envoc was also involved in the development of the primary Volunteer Louisiana website. 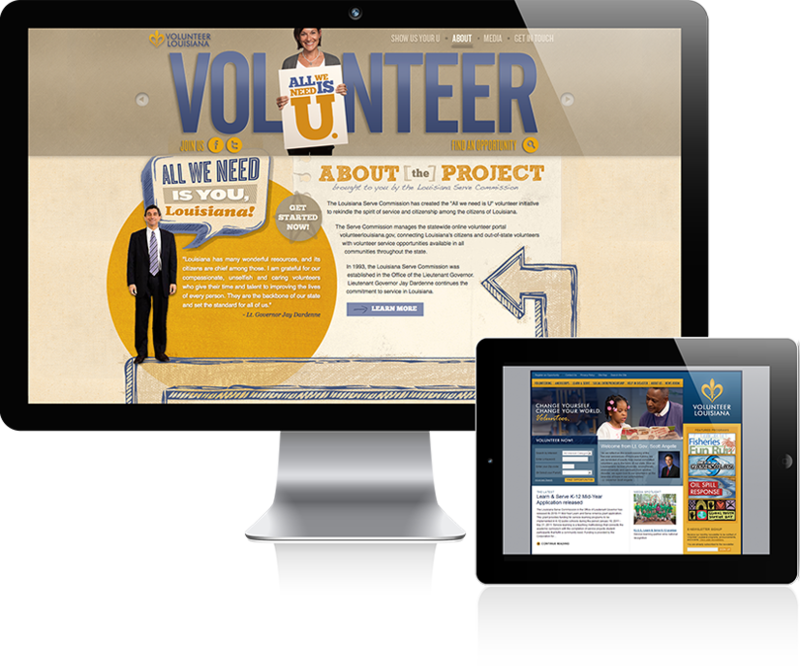 Within the site, Envoc provided an interactive map so users could find a volunteer center near them and also used an ExpressionEngine Content Management System to allow Volunteer Louisiana to easily manage and update their website with important new information. 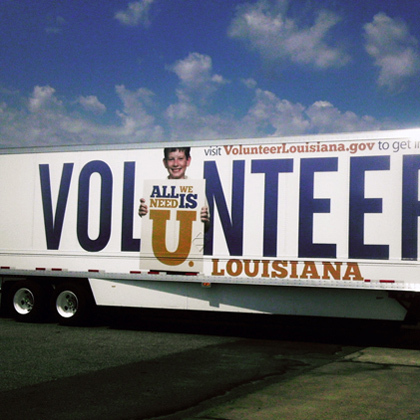 Volunteer Louisiana is now able to reach volunteers on a global basis and effectively communicate with all of them whenever a disaster occurs.